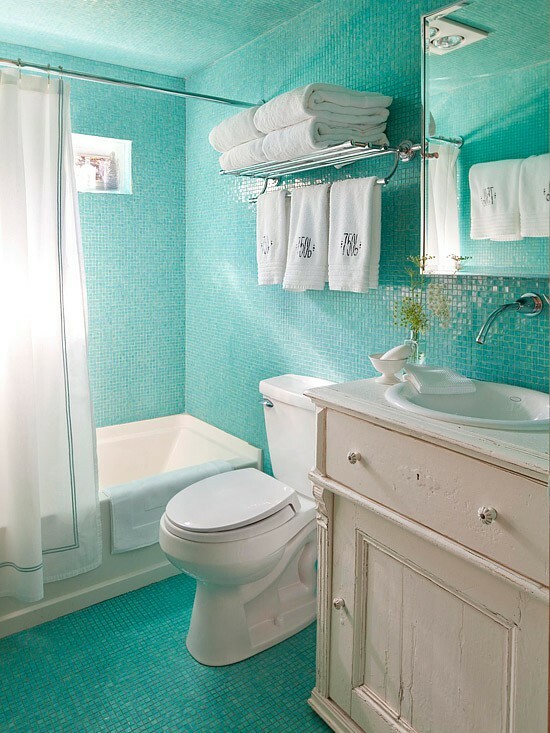 Bathrooms can be challenging spaces to work with. They are often quite small, yet there’s a demand for them to function as if they were the largest room in the house! 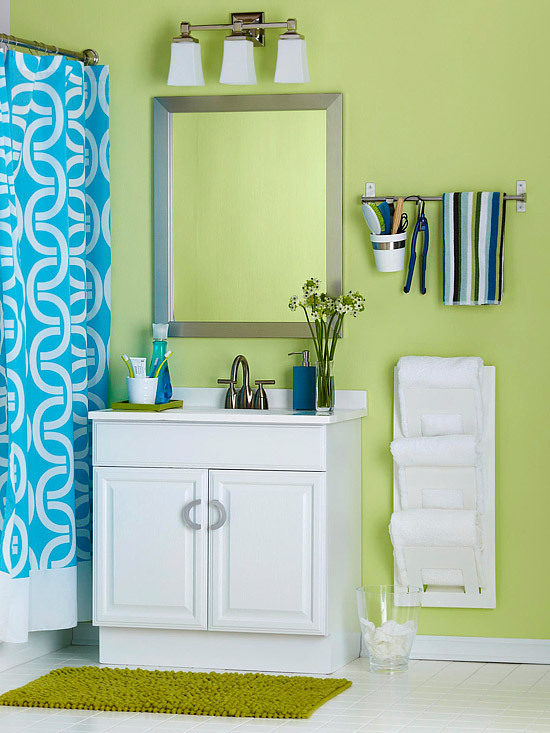 And one of the biggest issues is around towel bars and towel storage. 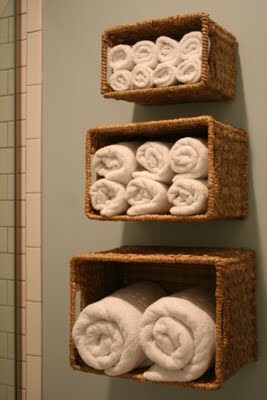 I’m often asked where a towel bar should go, how many are needed, should a ring, hook or bar be used for hand towels, etc. Like this rustic barbwire set. 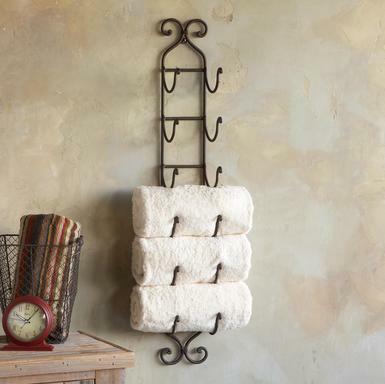 Have you seen barbwire towel bars before? I won’t try to pretend that this bathroom topic is something new. But I will show you a bunch of cool ideas, and maybe you’ll find an idea or two that’s new to you. Like mounting two or three bars on the back of the door instead of taking up wall space. Can you see what a great space saver this would be? Or have you ever thought about mounting a shelf over the door? So often the vertical space is overlooked and underutilized. I also like the function in having a hook handy to hang a towel on like this one here. And since we’re focussing on the door area, I thought I’d throw this one in too. Over-the-door racks are common, and you can find them almost anywhere. But I thought this one was a little different than what you usually come across. One thing to watch for is the thickness of the bracket that slips over the door. Sometimes these will be too thick for the door to close properly without causing damage to the door frame. If you’re into DIY projects, then I bet you’ll love this idea. 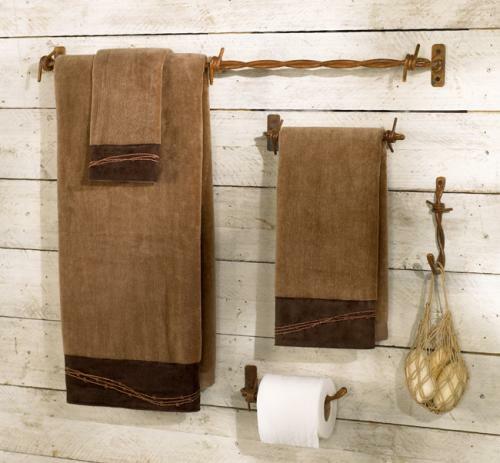 These are vintage wooden hangers inverted and hung as a towel bars! Isn’t this a cool idea? I think they have a little Mid-Century Modern feel to them too. If you want to see how to DIY, click here. Oh, and did you notice the glass doorknob above? Well what do you think of this one below? Isn’t it pretty? 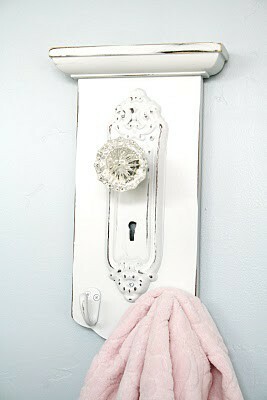 What an awesome way to feature a vintage glass doorknob and have a place to hang your hand towel! I love all the things you can do with glass doorknobs (which I wrote about here). 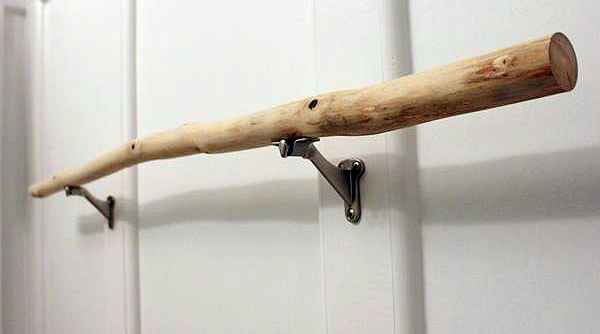 And for one more DIY idea, you might like this au naturel towel bar made from a branch instead. I can see this in a cabin in the woods. Click here for the DIY tutorial if you want to make one for yourself. 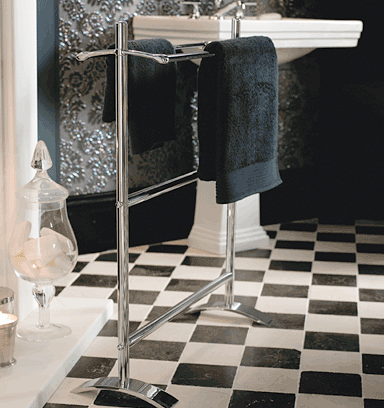 Of course you can always go with a classic hotel towel rack. These are a great space saving option and they add a little touch of cache in the hotel chic way! 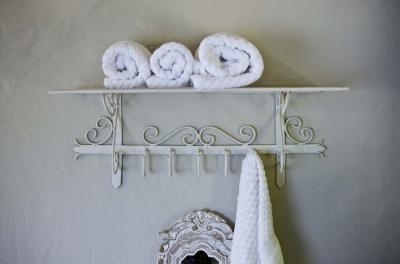 For more of a shabby chic charm you might like this variation on the hotel towel rack instead. 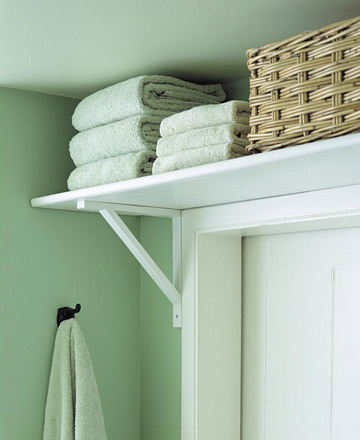 The hooks create a cottagey feel, and the rack itself stands out as a feature. What a perfect piece for bathroom décor. I love the use of ladders for shelves. And I think this one is perfect here. Why drill into the tile when you don’t have to? Of course if you don’t want to drill into your tile, or drywall for that matter, you can always opt for a free standing towel rail. You can find towel rails in a wide range of sizes and styles, and they’re great because of the flexibility they allow you in your bathroom space. 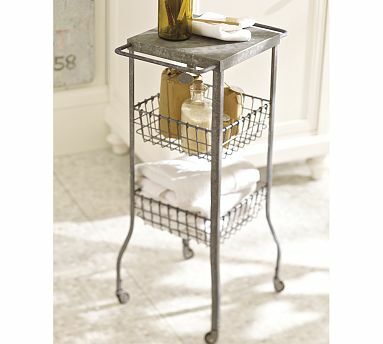 Or if you have just enough floor space, you can opt for a towel caddy instead. This one is even on wheels. How handy is that? And we definitely know that baskets are always a great way to go. But have you seen baskets mounted like this? Did you notice these baskets are mounted on grab bars? 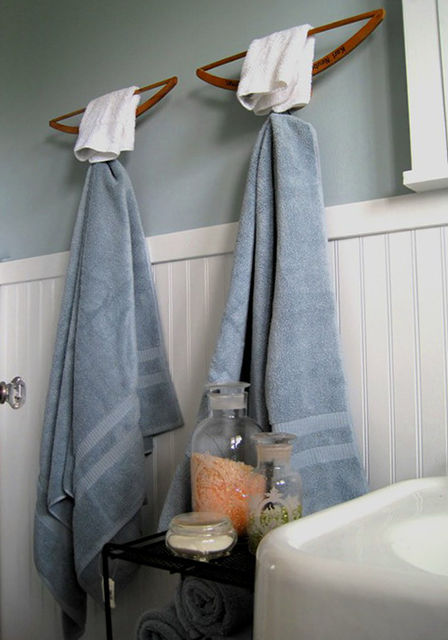 You can also use towel bars as long as they’re strong enough. I’ve never seen wall mounted file pockets used like this before. Have you? What a good idea! 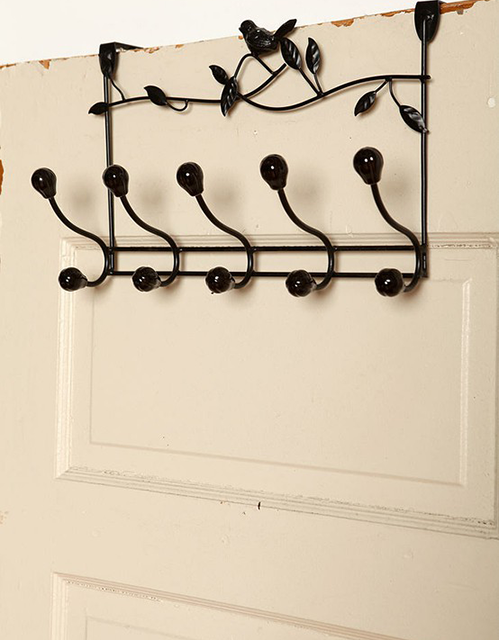 And this wrought iron rack is another creative favorite. It’s an effective use of space, and a unique feature, especially for a guest bathroom. Storage is never enough in a bathroom, so it’s important to be strategic with your use of space. Go up, go down, meaning make the most of your floor to ceiling space. And if you can incorporate multifunctional pieces, even better. 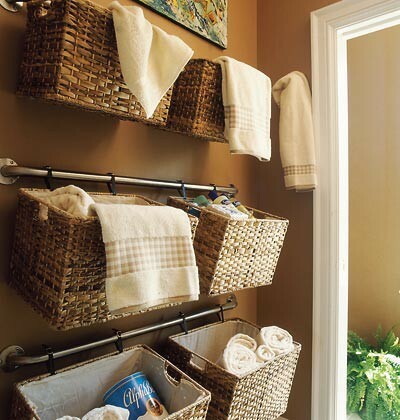 But the key is to think outside of the box, and beyond your typical towel bars and storage solutions. You will be happy you did… Unless of course an antler rack like this one is way beyond outside of the box… which it just might be for me! 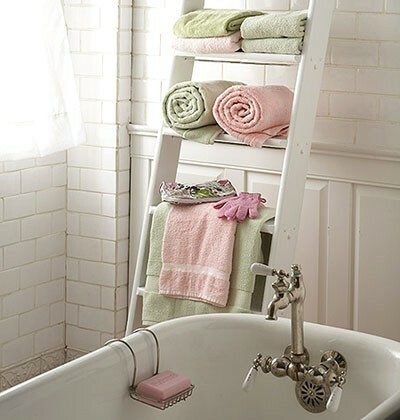 What creative solutions do you use for your towel storage? Do you have enough space, or would you like more? Oh, you know how much I love yours posts? They’re ALWAYS great! 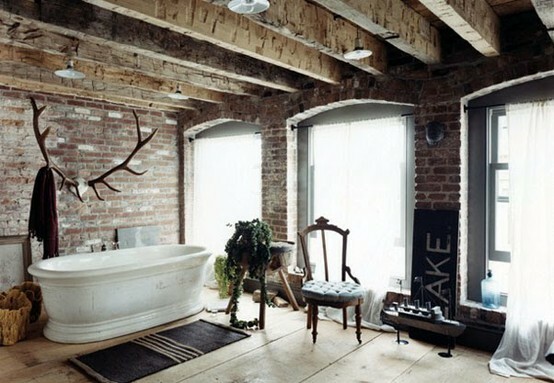 I’m in love w/ that vintage doorknob! The branch is very unique also. Lovely! 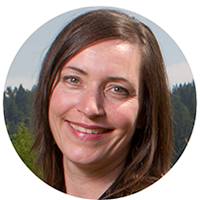 I’m so glad you are enjoying my posts – THANK YOU for reading them! You and your posts are such a source of inspiration for me, so a double ‘thank you’ for that!!! Looking forward to your Cool or Fool Friday this week. I can’t wait to hear what you do… you are so creative that I’m sure whatever you do will serve the function piece, but will also look amazing too! Previous PostPrevious Incandescents: Yay or Nay?